WWRD - What Strategy Is Best If You're Buying Property With Cash? 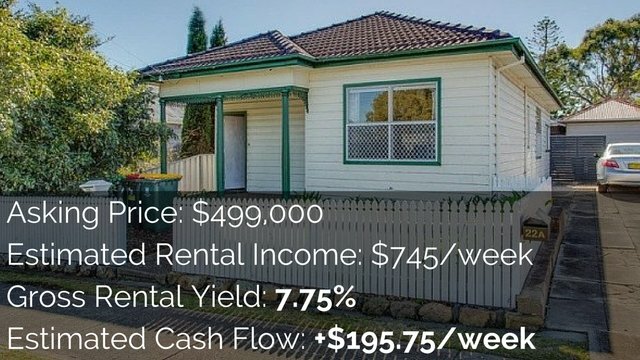 WWRD - What Strategy Is Best If You're Buying Property With Cash? 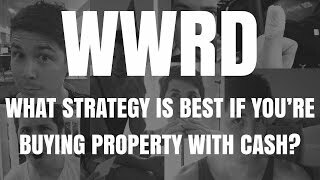 WWRD – What Strategy Is Best If You’re Buying Property With Cash? What property investment strategy would you use if you could purchase property with cash you obtain through inheritance? Hey and welcome back to What Would Ryan Do? The series where you pose a question at me and I tell you what I think about it. What I would potentially do in the situation. Today’s episode, we’re going to be talking about what strategy is best – or what would I choose – if you’re buying properties in cash. Let’s read over the question and then we’ll go through it. Remember, What Would Ryan Do? It’s a bit of fun, it’s a way to get someone else’s perspective on your situation. I tend to think a bit outside the box, outside what normal people think. So, hopefully, my perspective can help you, but it’s definitely not financial or mortgage advise. So always seek professional advise that is my #disclaimer. This is an absolutely great question and what a good position to be in. Obviously, my condolences for whoever has passed away that you’ve received this inheritance from. That is definitely not fun, but being in a position where you have a lot of cash gives you a lot of different options to choose from. Now, depending on whether you’re working or not can depend on whether you want to take that cash, borrow some money as well and spread that as far and wide as you can. Or, maybe, you just want to invest with this cash and you don’t want to acquire any debt. Let’s talk about those 2 different scenarios and what I would do in each scenario. Remember, we’re talking about me. I’m not giving you financial advise, but hopefully, through talking about this, it can give you some ideas for your situation. So. The first thing that I always go to, no matter what the question is, about whatever investment strategy or whatever situation is, is what is your end goal? What are you trying to achieve in the end and how can you get there? So rather than saying, “I have $500,000 cash.” or “$1 million cash.” or however much cash you have, “Should I buy X property or Y property? Should I use this strategy or that strategy?” Rather than saying that, you need to rephrase the question. This question is probably not the best question to ask. The best question to ask is, “I have this amount of money. I have this goal. What is the best strategy to get me towards this goal?” So, having your own goal is very important. So that might be a passive income of $60,000 a year. Maybe a passive income of $100,000 a year. Maybe $30,000 a year. Maybe you just don’t want to lose any money and you want to park that money and keep it safe. It’s really up to you. It depends on your situation and what you’re trying to achieve. Most people that I speak to would love, love, love, love to replace their income. And I think that is a great goal. A lot of people want to far exceed their income, which is achievable, but just unrealistic for a lot of people. 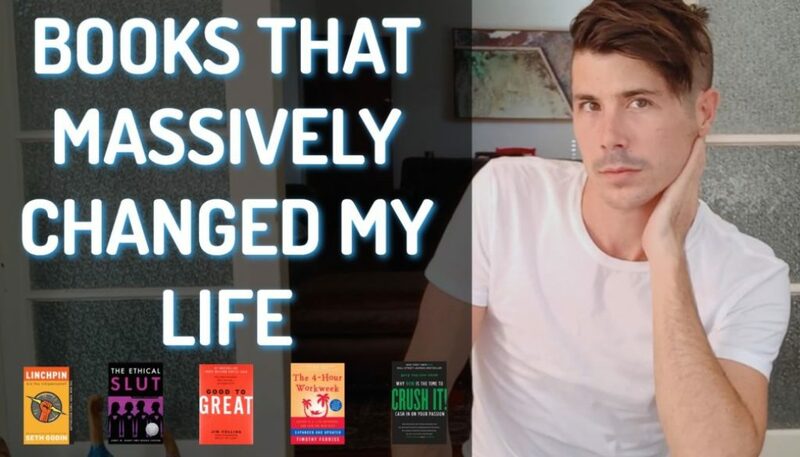 So if you’re earning $50,000 a year and your goal is to earn $1 million a year in passive income, you might want to start with a goal of just replacing your initial income first and then work from there. So, step number 1 is work out your goal. So, for me, goal income for me is about $60,000 a year in passive income. I can survive off that. My family can survive off that. We can live a fairly happy life and not have to worry about money. Now, once I got that, I wouldn’t stop working and running business and things like that, but that is the goal for me. So I’m going to look at that. If I was buying property in cash, that would be my initial thing. How can I take this cash and as easily as possible, with potentially the least risk as possible, achieve my goal of $60,000 a year in passive income. So, depending on how much cash I had, will depend on the strategy that I would use. But I would be looking for high rental yield properties in stable areas. 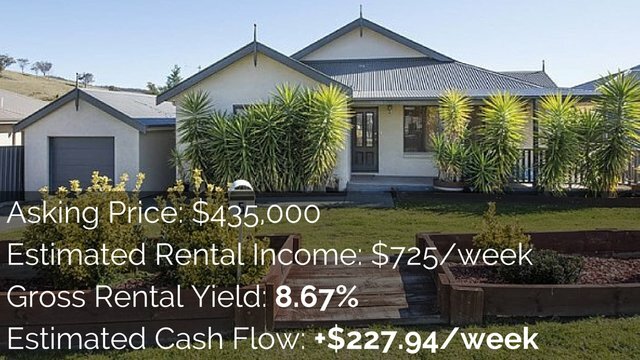 You can find positive cash flow properties all over Australia. I show people though my member’s area. You can check that out if you’re interested at onproperty.com.au/membership. If you want to see the positive cash flow properties that I find, but those vary in strategy. So some might be in country areas that can grow really well, but then can decline. Some of them might be in different regions. 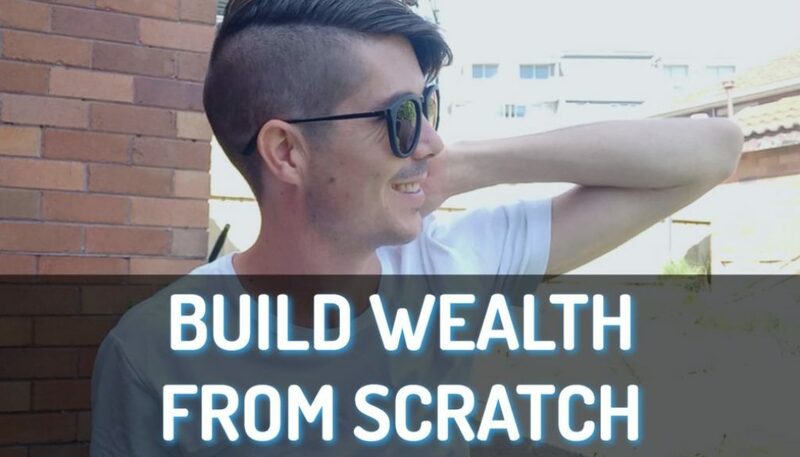 So, basically, if I had cash, I was buying and I had the opportunity to get a passive income, then I would look to purchase positive cash flow property or high rental yield property in a stable area. Now, if you’re purchasing in cash, basically, anything is going to be positive cash flow. So because I want to generate as much income for myself, I want to purchase something that has a high rental yield. So I’d be looking over the 7% mark. Another option that I would consider is to buy property that I can easily add a granny flat to. So, spend $100,000 less than the cash that I have and use that $100,000 to then go ahead and build a granny flat and then get 2 incomes. So, remember, because I’ve got this cash and I can potentially easily achieve my goal, I want to achieve my goal with the least risk possible. And one of the ways to reduce the risk is to have multiple sources of income. So if I purchase a property and I have one house that I’m renting out, if that house goes vacant for some reason, then I have no money coming in. Whereas, if I purchase a house then build a granny flat on it, I now have 2 sources of income. If one is vacant, I’m still getting income from the other one. So, spreading my risk that way is definitely something that I’ll consider. So rather than putting all my eggs into just one income source, I would look to spread my income source out. That may be through building a granny flat and maybe through purchasing multiple investment properties. So, first thing I would do is just work out my goal, which I have a goal, but you may not. So you need to work out your goal. And then, ask the question, “How can I use this money to achieve my goal?” If you’re in this situation where you can purchase property and you don’t need to borrow money and you can achieve that goal with cash, then, I think if I was in that situation, I would probably do that and purchase with cash. Actually, I’d probably get a small amount of loan because there’s more hoops you have to jump through when you’re borrowing money from the bank and they just double check things that you might not otherwise check. So, I’d probably get a small loan in order to invest even if it’s only 20%, 40%, 50% or something like that. I could do that if I had the cash, I could still get an offset account or something like that. But that’s something that I would consider doing just because having the extra hoops to jump through for finances, it’s just kind of like having someone in my corner double checking what I’m doing and so I don’t make a big mistake with my one pot of money. So if I had enough money to go ahead, I would potentially do it. Only borrow as much as I had anyway and I could use an offset account to offset my mortgage payments. If we had enough cash, that’s what I would do. If we didn’t have enough cash, then I’d be looking at, “How can I leverage this money through borrowing from banks or lenders to achieve my goal?” So, again, I’m starting at the same spot, “What is my goal and how can I use this money to achieve that goal?” So it might be I’m putting down a 20% deposit on a property or 40% deposit on a property and working out, “Okay, how much positive cash flow am I going to get from these properties? How many do I need to buy to achieve my goal?” Again, I would consider building a granny flat. It’s a great way to get a second source of income and to boost up the rental yield of a property so that’s something I would still consider. 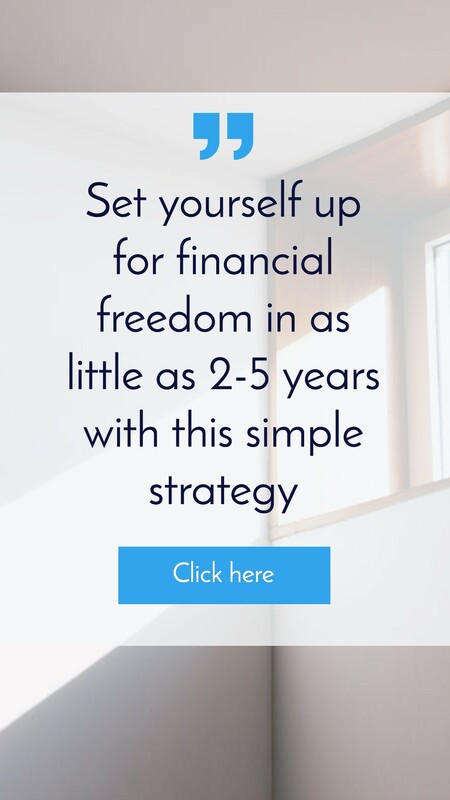 So I’d be taking the same approach as before, just saying, “What is my goal and what strategy is going to get me towards my goal?” I love passive income. I want to replace my income. I don’t want to get $1 million in capital growth because I don’t believe that that’s something – I’m not after capital growth, I’m after that stability of income. I don’t want to be a multi-billionaire. I want to have the freedom to do what I want to with my life and with my time. So that’s why passive income is so important to me. I hope that this helps. Basically, I would sit down and I would say, “What is my goal and what strategy is going to help me achieve that goal with the money that I’ve been given? Very thankful that I have this money.” Again, condolences to whoever you’ve lost in order to receive this money, but now that you have it, how can you take this and create the life for yourself that you want? I’m not going to be unrealistic. I’m not going to be super risk with this money. I’ve been given this opportunity and so, I’m going to do it. I’m going to be careful with it. I’m going to try and achieve my goal as easily and risk-free as possible. And then, once I’ve achieved my goal, then things get exciting. I call it, “Playing with the house money.” So it’s like you got to the casino, let’s say you put $100 on red, it comes up red, you end up with $200. Put that $100 back in your pocket. You’re now betting with the house’s money. I hope that this has been helpful. If you want to submit your question to What Would Ryan Do, simply email me, ryan@onproperty.com.au. You can see all of my episodes. You can see all the properties and stuff that I list over at onproperty.com.au. You can check out the member’s area, if that’s something you’re interested in, at onproperty.com.au/membership. And you can see all the high rental properties that I find over there and share with my members. So go ahead, check that out. I wish you the best day. 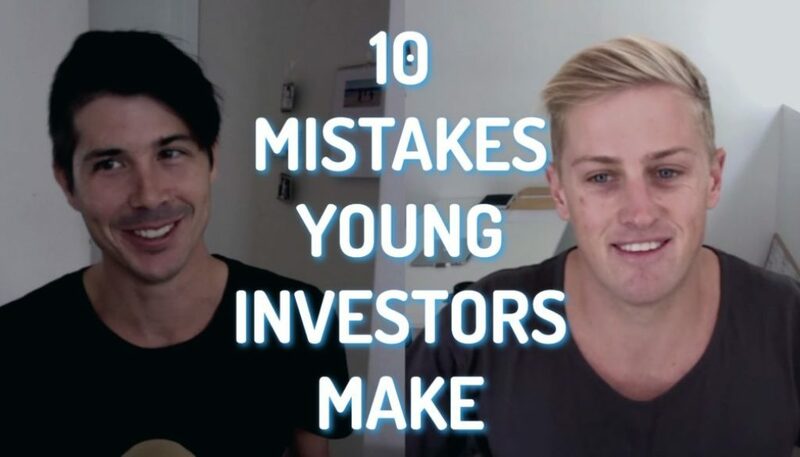 I hope that your investing career is moving forward and advancing. And remember, set your goal first and then work out what’s the best strategy to help you achieve that goal. That’s it for me, guys. Until next time, stay positive. Investor Profile: Success to Failure to Success with Ronald Tan	What Is Land Tax?